Can't find your BASS member number? 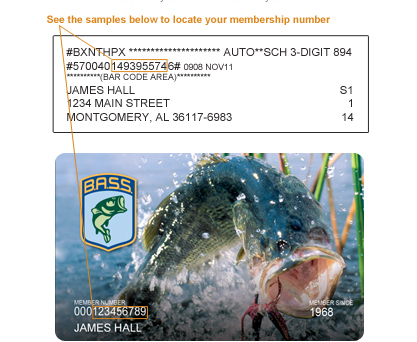 Your BASS member number is the 9-digit number that appears on your Bassmaster Magazine label. See the example magazine labels below. Phone 877-BASS USA if you are still unable to find your member number.